It is only in the past couple of months that I have fallen head over heels for black tea. I usually avoid caffeinated beverages, but somehow the rich tannic taste of black tea slowly won me over. I have become so enthralled with this indulgence that each morning, while waking from my reverie I am dreaming of which tea I will sip today. The morning ritual of placing the water kettle on the fire to warm, pulling my favorite cup from the cupboard and gazing at the row of teas on my shelf reminds me of how abundantly the earth offers us special treats to cherish. Camellia sinensis is a perennial evergreen shrub. It’s leaves are harvested, processed and dried in a variety of ways to produce all black tea, green tea, and oolong tea. Its history goes back at least 5,000 years in areas of China. Today China, Sri Lanka, and India are the biggest producers of black tea. Worldwide black tea is consumed more than any other beverage with the exception of water. With this in mind I see that I am not the only one to be seduced by this rich brew! With our country’s overt dependence on stimulating nervines like coffee and black tea, it’s easy to demonize these beverages and tout the often cited side effects associated with their overuse. This is something that even I have been guilty of in the past. 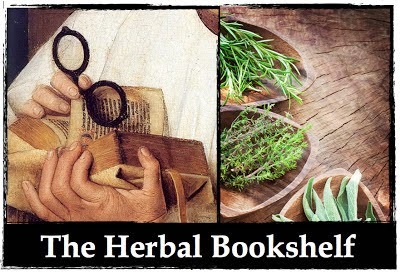 As herbalists we know that some herbs work great for some, and horribly for others. As people we know that too much of anything is seldom a good thing. With this in mind let’s explore the positive benefits of Camellia sinensis. Green tea is often marveled for its high anti-oxidant content and is frequently suggested for immune enhancement, as an anti-inflammatory as well as a general tonic to improve well-being. Black tea also contains a high level of anti-oxidants and new research has shown it to be just as beneficial as green tea. Like it’s caffeinated counterpart coffee, black tea has also shown promising results in lowering blood sugar in diabetics and could be used as part of a larger treatment protocol involving a health promoting diet and robust exercise. I order most of my black tea from Mountain Rose Herbs. I love getting the high quality of whole leaf tea and there is something so REAL about placing leaves in my tea kettle as opposed to a bag that came from a box. Also, whole leaf teas are assuredly higher in quality than the stuff placed in tea bags. Tea has a long history of trade and has even been used as a form of currency. Like many sought after items, people have been exploited in the harvesting and preparation of black tea. For this reason I always look for organic and Fair Trade teas. I make my teas in a small cast iron kettle that has a fine metal strainer inside of it. I place a couple teaspoons of whole leaf tea in the holder and possibly a pinch of other herbs for flavor. After letting it sit for 3 – 5 minutes I am ready for the dark brew to be poured into my cup. I add a generous amount of cream and enjoy some quiet moments to myself enjoying the heady steam arising from the leaf flavored water. Ancient Forest Tea: Harvested from ancient protected tea plants that range from 500 – 2,700 years old, sipping this brew is a reminder of the primeval forces on this earth. Darjeeling: A complex tea from India with a significantly different taste than most black teas. It’s often described as a flowery flavor and it lends itself well to being combined with lavender. Assam Tea: This tea is named after the region where it is produced in India. It’s often sold generically as breakfast tea blends. This popular tea will please everyone’s black tea palate. While visiting a dear friend in Portland this summer she delightfully reminded me that lavender can be enjoyed in practically everything. Together, on her lovely veranda, we sipped black tea with lavender and cream and I was hooked! Most days I still enjoy a pinch of lavender flowers along with my black tea. I also enjoy adding some licorice root, or chai spices like cardamom, cinnamon, ginger, cloves, and all spice. I am sure many of you have favorite additions to your black tea and I would love to hear them!